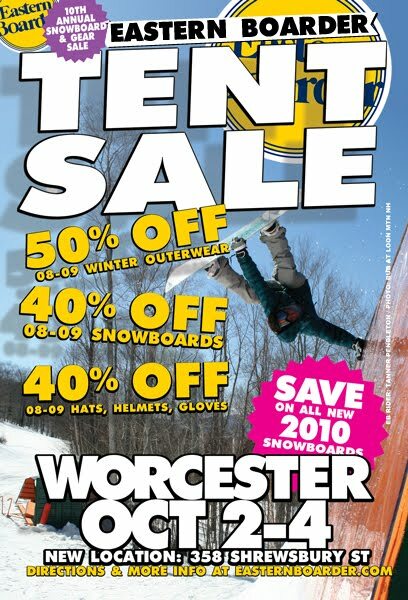 EasternBoarder Worcester will be hosting the FINAL tent sale stop this weekend at our new loacation 358 Shrewsbury st Worcester Ma 01604. We'll have tons of snowboard gear all for 40%-50% OFF! This is the last chance to save big before the snow season starts so be sure to stop in and check it out!